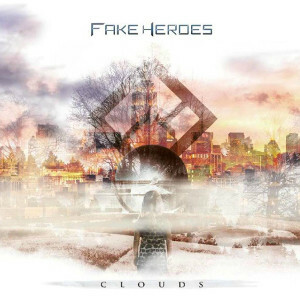 Italian five piece metal band FAKE HEROES will release their second album "Clouds" on September 21st. The album is a self-release and contains 11 tracks which outline inner journeys and explore the connection among human beings, in modernity and nature. They are offering Alternative / Progressive Metal with some elements from Heavy Rock / Nu Metal, putting modern grooves and melodic vocals by vibrant arrangements, inspired by contemporary American bands. First single "On The Hill" featuring Giacomo Castellano in playing guitar solo from this album has already been released on July 1st and now available on their BandCamp page. 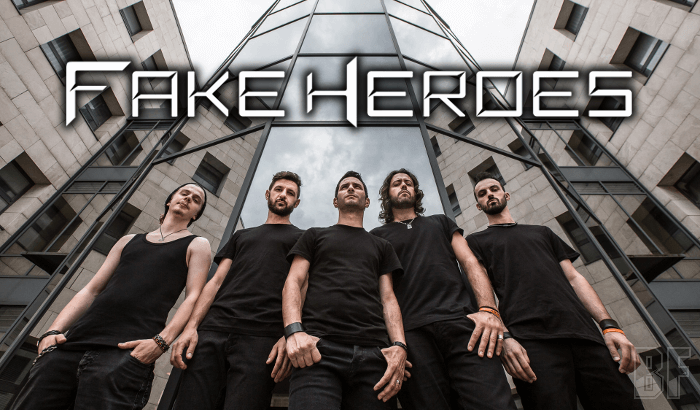 FAKE HEROES was formed in February 2012 by the ideas of a guitarist and composer Gianni 'Draft Djentleman' Vespasiani. The band has released two EPs: "Beyond This Glass" (2012) and "Bridge Of Leaves" (2014). Their debut album "Divide and Rule" was released in 2013, and acclaimed both at home and abroad. Thanks to, they got an opportunity of the first mini tour in England in July of 2013.